← Pals For Reading Returning to Aston Library! Free Quilting for Beginners Class! Have you ever wanted to learn to quilt? Now you can! 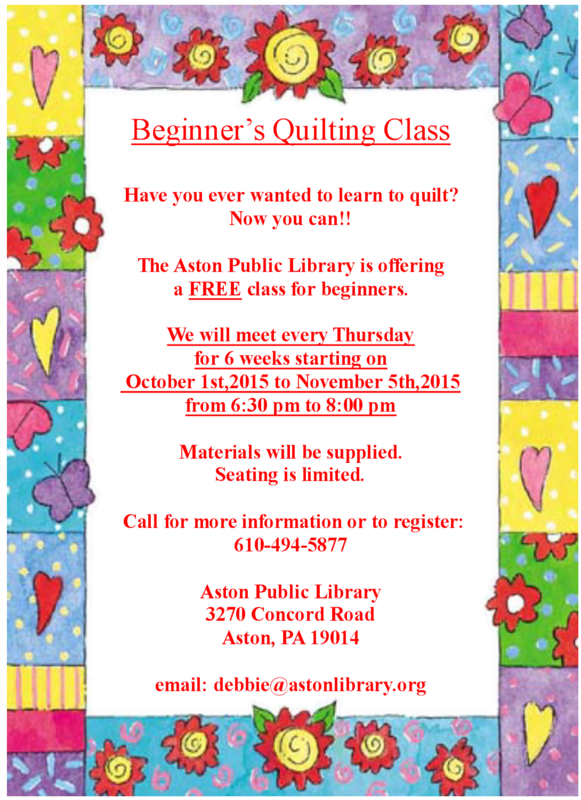 The Aston Public Library is offering a FREE class for beginners. The class runs each Thursday at 6:30PM for six weeks starting October 1st. Materials are supplied, but seating is limited. For more information, call Ms. Debbie at 610-494-5877.